Now On Sale! 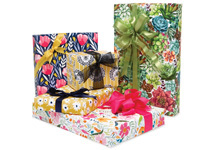 Floral designs & kraft prints for all occasion gift wrapping. Now on Sale! High quality gift wrap in large counter rolls for retail packaging at low discount prices. Now on Sale! 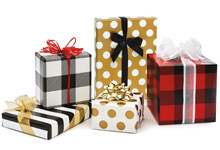 Color wrapping paper including white, red, gold for Christmas & all occasions. Now On Sale! 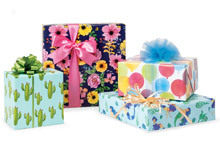 Gift wrap paper designs featuring dots, stripes, chevron, checks, swirls & mermaid print. 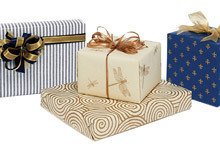 Stone Wrap Treeless Gift Wrap cuts & folds beautifully! 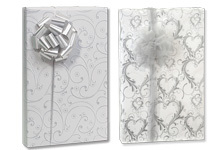 Super elegant Wedding Gift Wrap for bridal showers, weddings & anniversaries. 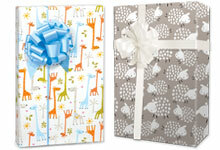 Adorable Baby Gift Wrapping Paper for new baby, showers & infant gifts. Now on Sale! 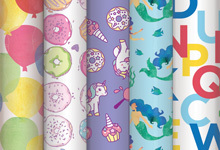 Large 24 x 85 discount wrapping paper rolls for every day celebrations. 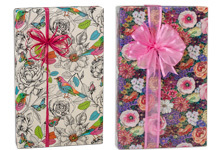 Premium Floral Gift Wrapping Paper. High quality rolls in lots of sizes. 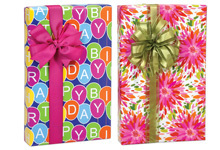 Fun & colorful Gift Wrap designs perfect for birthdays & kids! 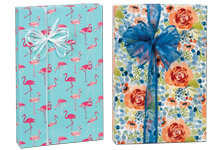 Wrapping paper with designs for everyday events! 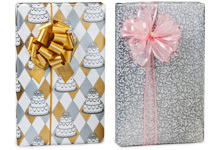 Metallic Wrapping paper rolls in a variety of prints for all occasions! Value wrapping paper for everyday use on large 150 rolls! 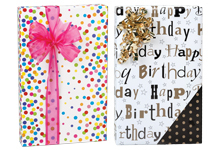 Birthday & celebration gift wrapping paper in fun prints for children & adults. 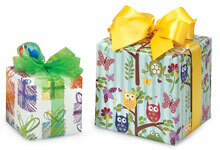 Sweet Baby Gift Wrapping Paper shipped factory direct. 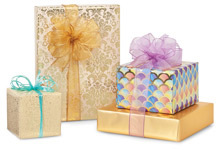 Premium quality Wedding Gift Wrap to celebrate weddings, bridal showers, anniversaries! 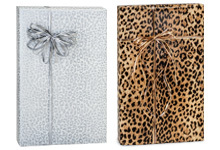 Classic Animal Print Gift Wrap in leopard, zebra & fun animal prints. 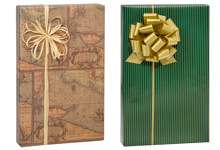 Masculine Gift Wraps to please any guy from golf, fishing & car designs to map & camo prints. 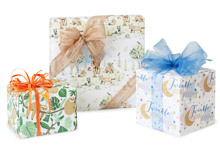 Wrapping paper designs on small 25 rolls are the perfect size for home and retail use! 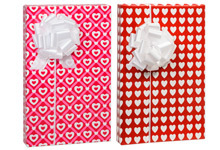 The sweetest Valentine gift wrapping paper with hearts galore. 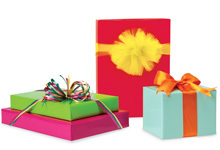 Shop the largest selection of wrapping paper for retail stores here! 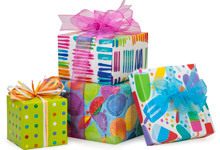 Beautiful all occasion designs along with birthday, wedding & baby gift wrap rolls. Made in the USA.